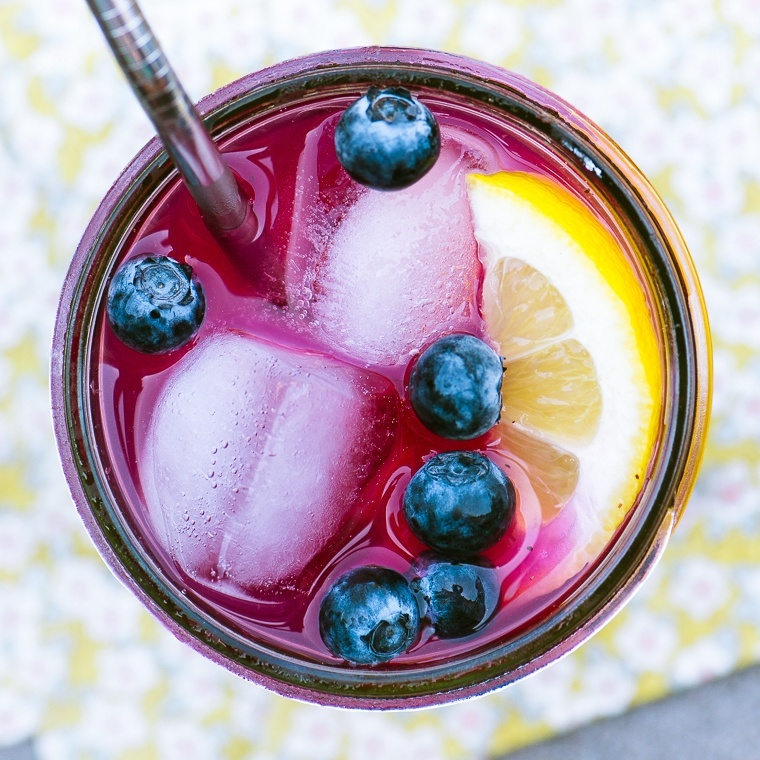 Blueberry Lemonade ~ skip the sugary soda and make a big pitcher of this all natural fruit drink ~ made with fresh lemons and blueberries, it's a healthy way to hydrate! First make the blueberry puree ~ rinse the berries and put them in a saucepan with the water. Bring to a boil, then lower the heat, cover, and cook, stirring often, for 3 minutes or until softened and deep purple. Puree the mixture in a blender until completely smooth. Put in the refrigerate to chill. To make the lemonade, put the water and lemon juice into a pitcher, add the sugar, and stir to dissolve. Add most of the blueberry puree (you may not want to use all the puree, taste and adjust the amount to your liking.) Mix well and chill until ready to serve.